And for this precious life, it is our home address. Using dance to fully embody ourselves - physically, emotionally, mindfully - simply means being home for the beautiful ride of being alive. It means we’re present for anything and everything, loving, losing, colliding, learning, creating, connecting, feeling. To be embodied is to come to our senses. To show up and learn to stay with experience whether it’s good or bad. To feel our power and to make things happen in our world. When we live an embodied life we are fluid, flexible, and free to experience all of the wild and subtle moments that go by the ones that are heavenly and the ones that drop us to our knees. To be embodied is to arrive at death in peace, free of regret for having missed our life because we weren’t home. When our body moves, everything moves. A gesture brings on a flood of feelings, A surge of emotion creates sensation. Thoughts of loved one stir us up. Our minds may keep us tight and frozen, or help us make sense of what just happened in the dance. Anything we try to push away can become our limitation. 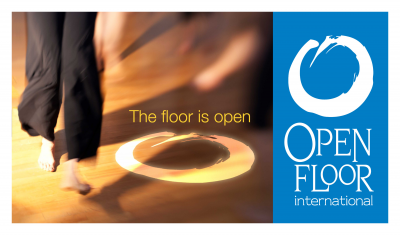 On the Open Floor we move and include the juicy moments of joyful release. as well as the challenging ones, pain in the body, shyness, self-limiting beliefs, a sense of isolation. This is how we learn to be true, fluid and whole.